Looking for the perfect date that isn’t going to blow the budget this Valentine’s Day? How about a candlelit home cooked meal for two to really show that special someone how much you care! Some of Australia’s most renowned chefs and health gurus have shared with FOCUS their favourite recipes for Valentine’s Day – the perfect way to impress your date and tantalise their taste buds. Best-selling author and journalist Sarah Wilson shared her favourite romantic sugar-free meal ideas to take date night to a whole new level. 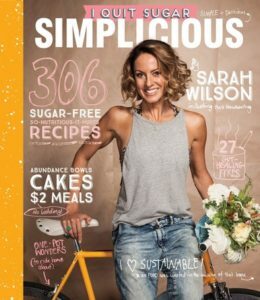 “In I Quit Sugar [in the first book] the Raspberry Ripple is a wonderful sweet treat to share with a loved one…it involves breaking and eating it together in a very casual way,” Wilson said. “In Simplicious, The Super Green Couch Fondue is perfect for sharing in front of Netflix, or for taking outdoors for an easy picnic,” she added. 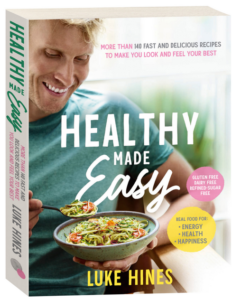 My Kitchen Rules finalist and 2015 Celebrity men’s Health Man of The Year runner-up Luke Hines believes a romantic meal is more about the love that goes into the preparation rather than how fancy the end result is. 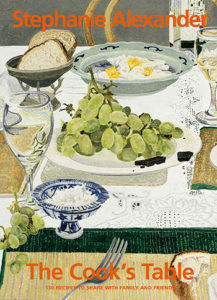 “For me, the most romantic food is something someone has made the time to put some love and effort into. The passion and enthusiasm one has when cooking is always translated on the plate. You don’t have to be a good cook, you just have to give it your all, and if I had to pick any recipe to celebrate on Valentines day it would be one of my desserts from Eat Clean or Healthy Made Easy. Good for you and your heart health!” Hines said. 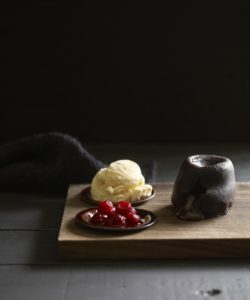 Celebrity chef Matt Moran recommends chocolate fondants with raspberries and vanilla ice-cream for the perfect finish to a Valentine’s Day meal. “A classic combination that never fails to delight. You can make the chocolate fondants well ahead of time and store them in the fridge, then pop them into a preheated oven as your guest is finishing their main valentine’s day course. It’s always been a treat in my house! ” Moran said. Renowned Australia Chef Stephanie Alexander was one of the pioneers of romantic dining at her Melbourne restaurant in the 1980’s – making her more than qualified to suggest the ideal Valentine’s Day meal to share with your special date. “Stephanie’s Restaurant was the first restaurant in Melbourne to host a Valentine’s dinner in 1986, and at the restaurant for many years we enjoyed racking our brains to think of ‘romantic food’. In The Cook’s Table I have included a Valentine’s Day menu and a recipe for Brown-sugar meringues with salted caramel cream, which make a luscious dish to conclude to a romantic dinner at home,” Alexander said. All these recipes and cookbooks can be found in the ‘House and Garden’ section of your local library. To see what else is on offer, check out the library catalogue at www.thehills.nsw.gov.au/Library.